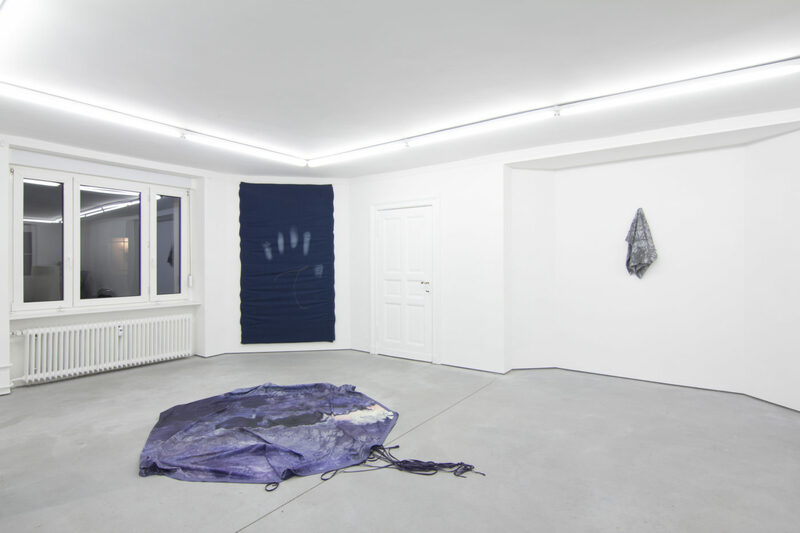 Future Gallery is proud to present ‘Draped’, a group exhibition featuring new works by Rubén Grilo, Spiros Hadjidjanos, Femke Herregraven and Nicolas Pelzer. 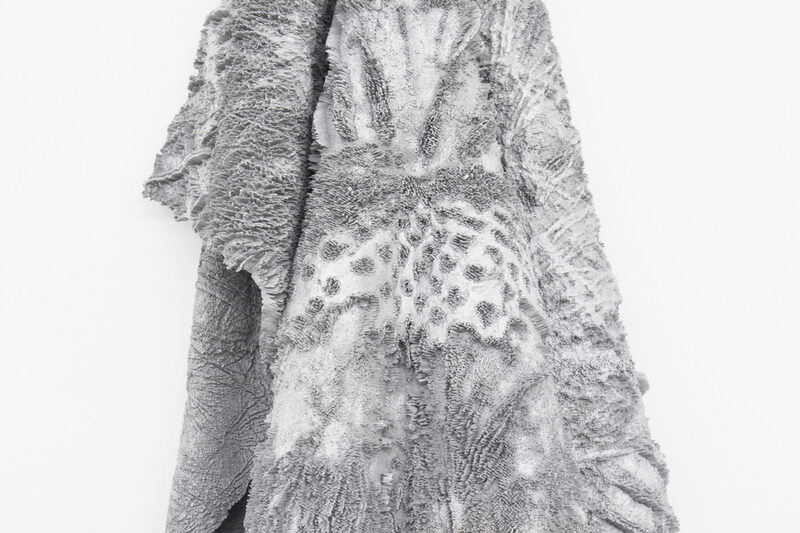 Drapery refers to fabric used for decorative purposes. Fabric in general is thought of as woven threads bound together into a whole often used for clothing or wrapping something. The examples in the show offer different often counterintuitive lines of logic regarding the utility of fabric. 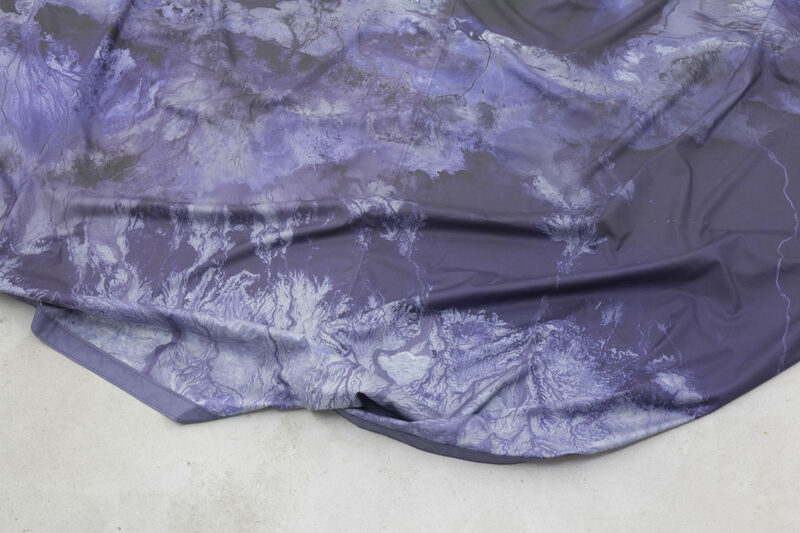 Through digital processes these seamingly textile generated works have been manifested as: laser etched sheets of denim demonstrating the reversal of labor driven wear and tear, a 3D printed cloth with an extruded photograph coming out of it, the satellite infrared financial geo-mapping of a resource rich landscape in east Africa, and a stretched acrylic print usually used as an advertisement but rather used to demonstrate what a 3D rendered archaic tool would look like. ‘Pattern Free: Ripped from Zara’ is an ongoing series of work Rubén Grilo started in 2013. 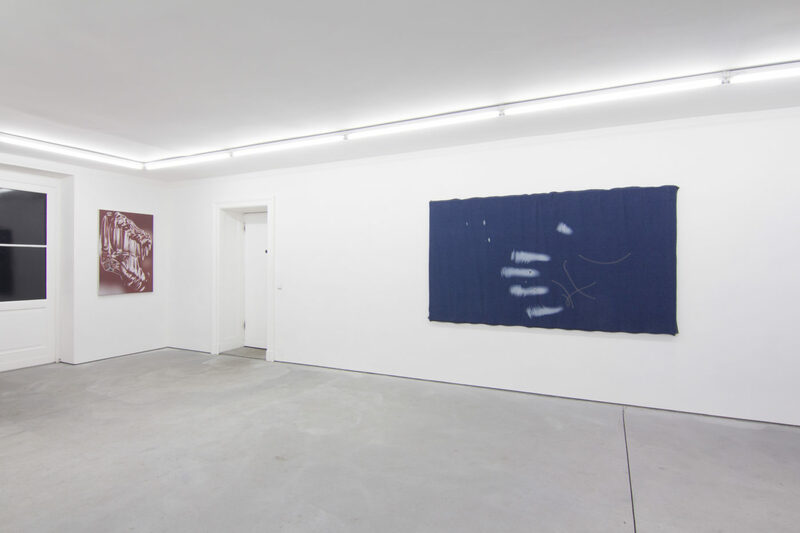 Grilo will present works from this series, where he reproduces the “used look” of Zara jeans. Examining the relationship between the body and craftsmen work, he designs industrial objects targeted for consumption and is observing the field of artistic production from the industrial perspective and vice-versa. Revealing the jeans traces of usage can be attributed to wear and tear caused by movement and friction, but here they are laser etched. 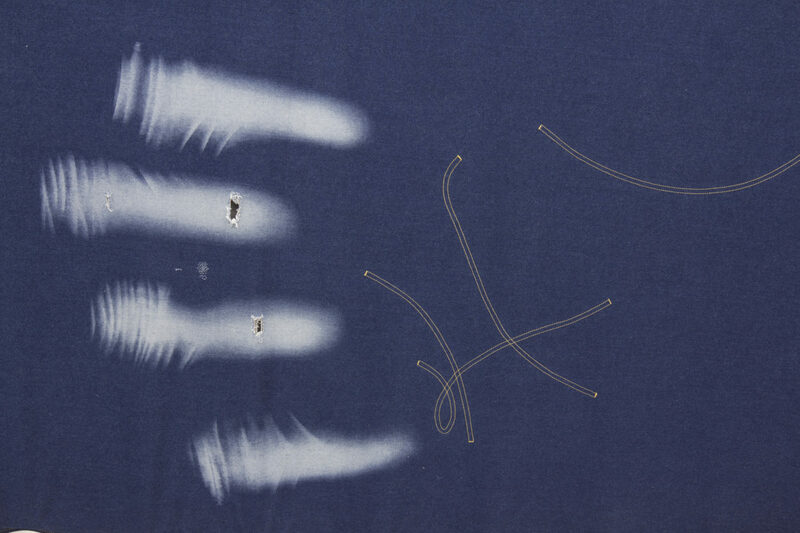 This laser technique derives from high-street fashion, which helps to imprint the denim cloth with a single mark that can be replicated several times. 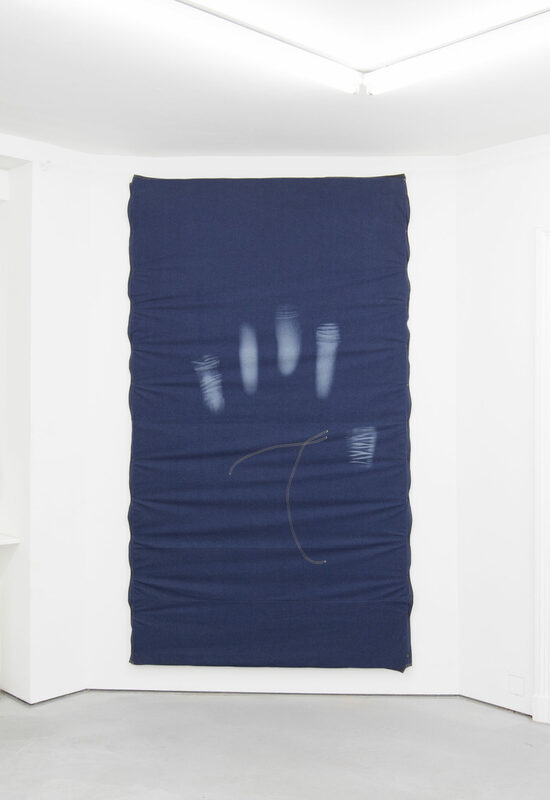 He is designing creations of grotesque body imagery as huge handprints. 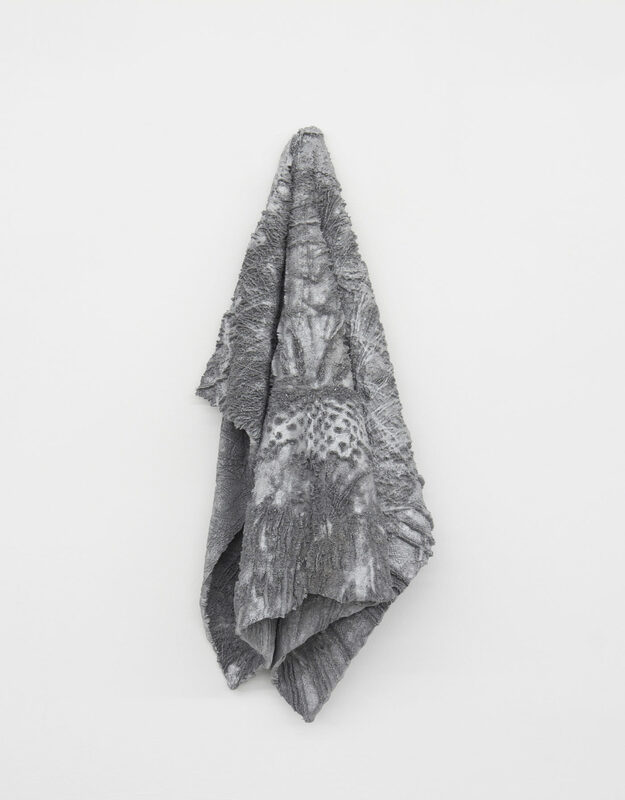 Grilo’s observation of a fashion detail leads to the history of the material that is at the same time a history of altered body-labor relations. Marks of physical labor becoming almost obsolete in the digital era, artificial signs of hard work becoming increasingly exoticized. Grilo’s usage of standardization, scaling and abstraction deals with the history of industrialization and modern production with a view on the cultural digital paradigm shift and the Internet. 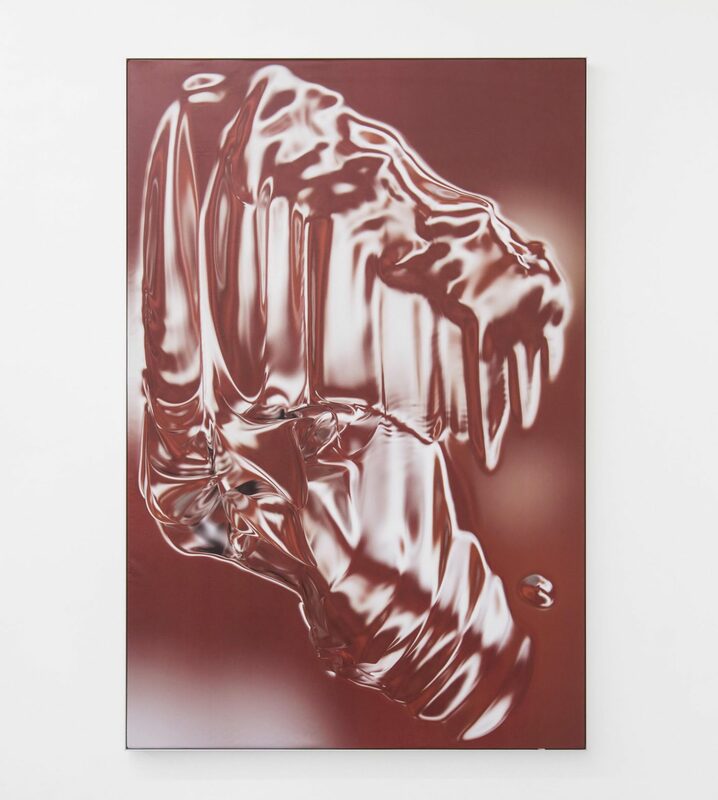 The new series of works by Spiros Hadjidjanos originate from images of German photographer Albert Renger-Patzsch, a prominent proponent of the New Objectivity school, who published a book of flower and plant photographs in 1930. Hadjidjanos manifests these photographs: the flat image of different species of cacti or other plants have been extruded with software into three dimensions, and then 3Dprinted in alumide, a derivative of aluminum, each a precise mathematical representation of the orientation of each object’s surface. Using the dimensions of the original photograph to magnify from, with the addition of the third dimension, depth, these works are three-dimensional depth maps of the sourced photograph. 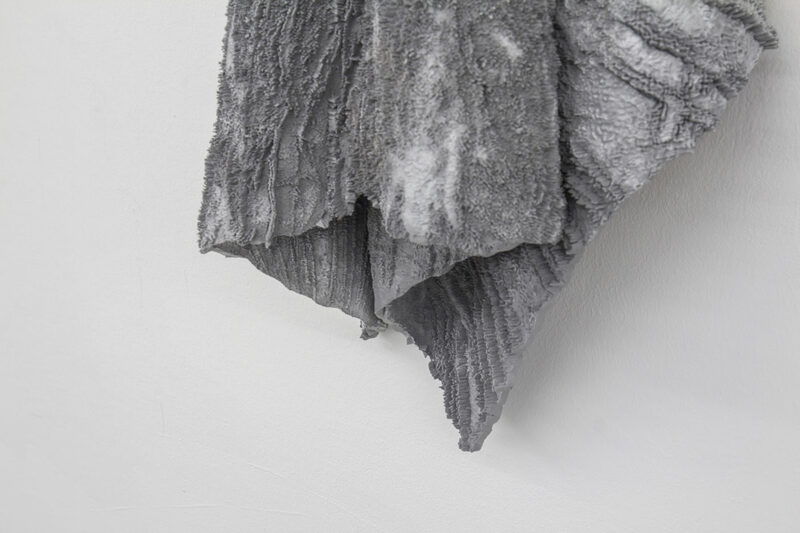 By applying forces to these malleable surfaces in a simulated environment, Hadjidjanos transforms their planar surfaces; their form adapts and traces other spatial elements (wall or floor). These transformations function as metaphorical reference to the actual plant. The morphology of a plant-detail provokes a multitude of associations dealing with transformation. 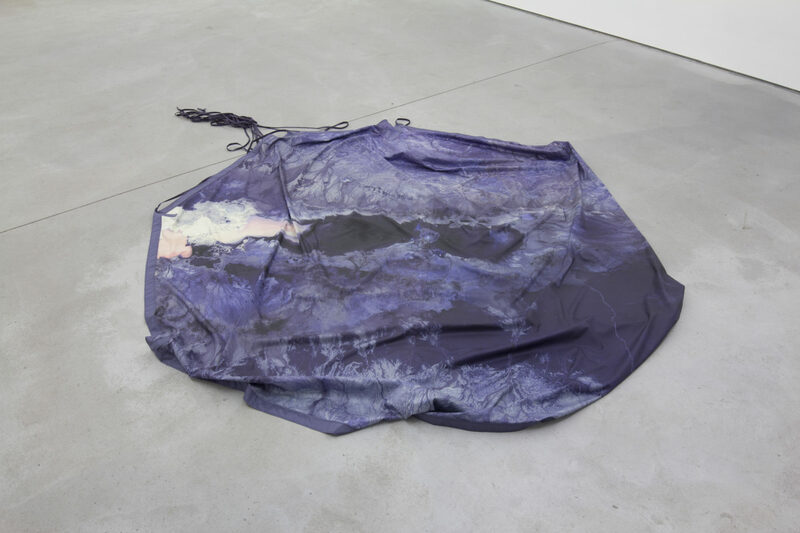 Femke Herregraven presents a new work from the series ‘Rain of Payload Ashes’. A series that explore the orbits of different actors that cross a geological depression in East Africa, as the cyclical movements of a shield volcano and a swarm of CubeSats. Speculative artifacts are reflecting on the vertical orbital gaze used by financial markets for sourcing alpha. By remotely sensing reflected or emitted energy from the Earth surface, chemical are transformed into financial data. A swarm of light weight cube satellites descends back on Earth after false color images have put derivatives in motion. This specific parachute deals with the remote sensing of potassium in the Danakil Depression. In her work Femke Herregraven is analyzing which new material base, geographies and value systems contemporary financial technologies and infrastructures carve out, and present an ongoing investigation into the relation between financial value, self-organizing systems, and geological instability. 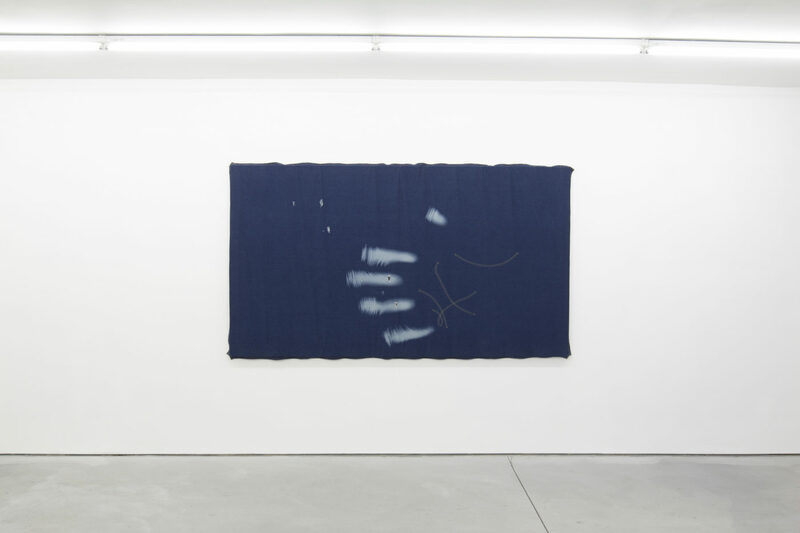 In Nicolas Pelzer’s work ‘Collider Body – Flint’, one sees 3D rendered marks. This carving was created using computer-generated imagery, which calculates physical traces of a prehistoric stone tool on an even surface. 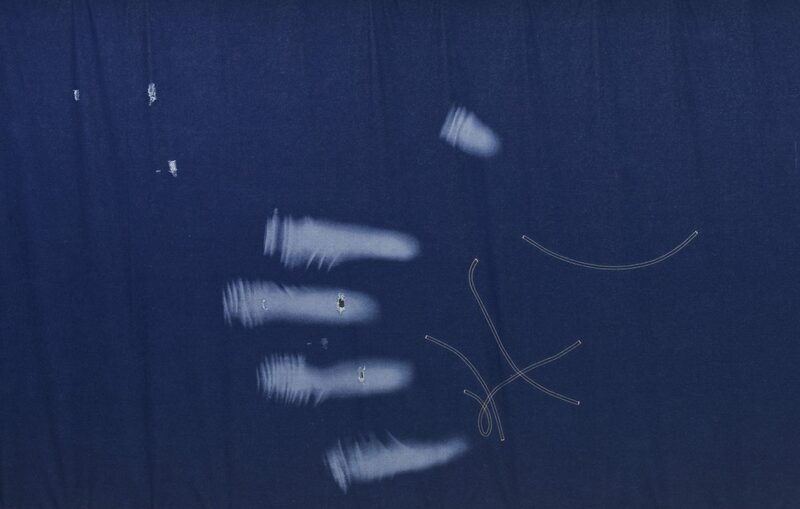 The smudges were determined by the artist however the course of motion was algorithmically calculated by the software. The surface of the picture is a specular reflection emitting the color and texture of red ocher, this color was the first pigment used for the cave paintings.